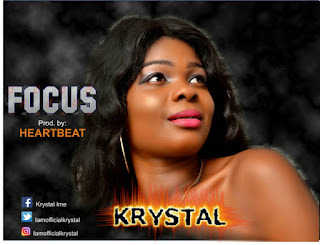 known by her stage name Krystal, is a Nigerian singer & songwriter . She has worked with music producers in the industry and have been on back stage for some musicians. over the Nigerian Female Industry by saying she's coming with a fire to take over the industry. It's a talent to watch out for.